The Russian rouble has plunged over 52 per cent this year yet the Russian economic crisis might represent a unique opportunity for Cyprus to secure a major trade relationship with Russia without stepping outside the sanctions regime. The Russian government and central bank might impose capital controls to stem the flight of hard currency. Some leading members of the Russian State Duma have proposed limits on the foreign exchange withdrawals by outbound Russian tourists. The collapse of the rouble and potential capital controls bode ill for Cyprus which, along with Finland and Greece, have seen the biggest surge in Russian tourist arrivals since 2009. The Russian government has political and economic reasons to stem the flow of tourists to Europe. The Russian economy has been brought to its knees by a mix of economic sanctions, plunging oil prices, poor governance and the want of diversification of the economy. Russia has retaliated with its own counter-sanctions against Europe. There is no doubt that Cyprus, which had been expecting over 600,000 Russian tourists in 2015, will be hard hit. Russian tourists will take advantage of the weak rouble and travel to Crimea or Sochi – both with excellent tourist infrastructure now. Whether or not capital controls are imposed, all signs are ominous that Russian tourist arrivals in Cyprus may trickle down to a few thousand. To add to Cyprus’ woes, President Vladimir Putin has put in place robust de-offshorisation measures. He especially singled out Cyprus as a country where Russian money takes shelter from taxation in Russia. He has offered a carrot and promised a stick – an amnesty to bring the money back, or else. It is doubtful that mainstream Russian corporations or managers affiliated with them will risk Putin’s ire and continue their offshore activities. There are other punitive laws and measures at work in Russia to limit flight of capital, corruption, transfer pricing and tax shopping. Despite Russia’s economic woes when Cyprus needed a bailout, Russian government was first to help. Cyprus took a loan of 2.5 billion euros and the Russian government subsequently agreed to delay repayment and restructured the loan. Now Cyprus has been caught in European and American hostility toward Russia, and Russians have also shown contempt for Cypriot interests. By offering to open a major gas pipeline to Turkey, Russia has essentially guaranteed Turkey the status of an energy hub in Mediterranean. 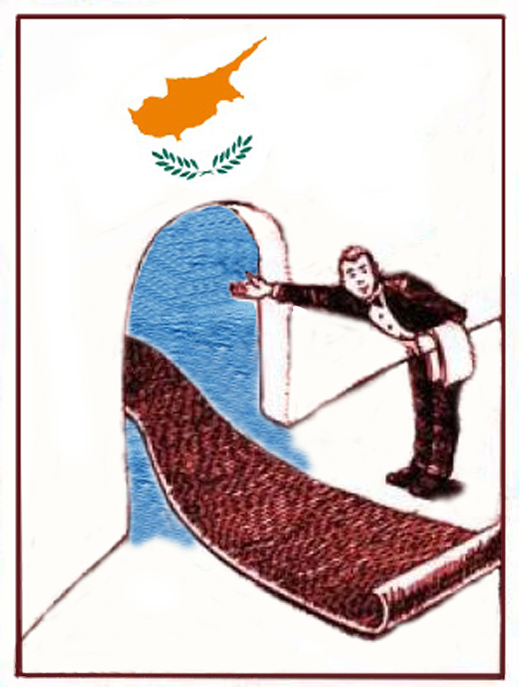 There is increasing apathy toward Cyprus in Russia after the haircut of 2013 in which Russian depositors were the main losers. It is clear that if Cyprus does not repair its relations with Russia, its services and tourism sectors will face a catastrophic collapse in 2015. It is time for Cyprus to demonstrate that it is a worthy and honourable player in the international arena and turn this crisis to its benefit. I am proposing that Cypriot hotels reach out to Russian tour operators and accept payment in roubles for the 2015 season and essentially guarantee half million or more tourists to the island. There will be obvious currency risks, but almost all economists agree that the rouble at 90 to a euro is greatly undervalued. A trade deal like this will earn the loyalty of millions of Russian tourists. For years after, Russian tourists will choose Cyprus over those who shunned them. The potential losses that could be inflicted will be no more than the money Cyprus throws on subsidising Cyprus Airways or other ailing public sector agencies. We for one are willing to accept roubles because of our faith in the Russian economy and its long term prospects. The current crisis is more political and psychological, fuelled by aggressive speculation against the rouble than solid economic logic. Russia is not going to fail and it will remain a major market and power for as long as there is geography. We also believe the sale of tourist packages in Russian roubles is no more a risk than keeping money in Cyprus banks. After all, there is no guarantee there will not be another banking collapse in Cyprus – one of the major banks failed stress tests conducted by European Central Bank this year. 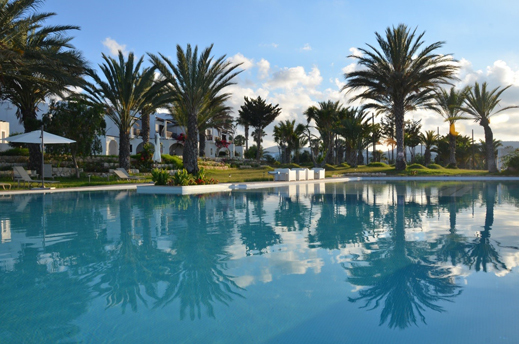 A crisis is always an opportunity and this might be the only silver lining for Cyprus in a long time – if Cypriot hoteliers and the government have the courage to rise to it. Note: Ajay Goyal, publisher of The Russia Journal in Moscow, is the owner of ZENING (www.zening.eu), a luxury wellness resort in Latchi, western Cyprus. For a brief history of the Orlovika — two centuries of Russian mistakes in Cyprus, Crete and Greece, start here.